This year the Pyrotech BEI team has collected winter accessories for Accueil Bonneau. 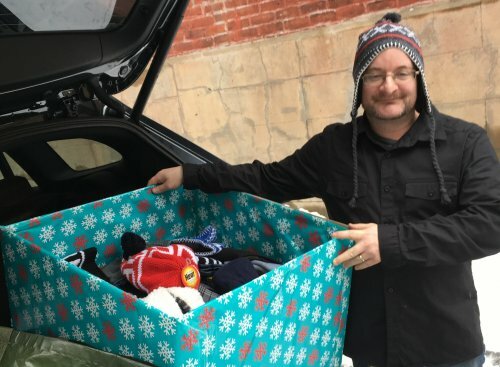 With our harvest, we were able to hand over to the organization, on January 9th, as part of our annual donation, a box filled with hats, mittens, scraves, etc., in addition to 250 pairs of jeans, 100 pairs of woolen socks and 100 pairs of boxers. The entire Pyrotech BEI team is proud to be able to warm the hearts of homeless people or those at risk of being homeless.